Domaine Rotier is run by Alain Rotier and Francis Marre. The two brothers-in-law share the responsabilities in this family-owned estate: Francis looks after the vines and the management while Alain’s role is that of winemaker and sales manager. They are helped by an efficient team: 5 persons working in the vineyard (35ha), in the wine cellar and at the office (customers’ relationship and sales). A network of Seasonal workers are taken on when necessary (harvest, etc.). In France, a network of agents and wholesalers ensure sales to a professional clientele, while export sales are handled by the team of Accents du Sud-Ouest, who also work with 6 other South West winemakers, all sharing the same vision of quality wine. The Petit Nareye, which constitutes most of Domaine Rotier, has been known to man for a very long time. Several tools made from quartz dating from the Paleolithic Age (150 to 200 000 years ago) have been found there. 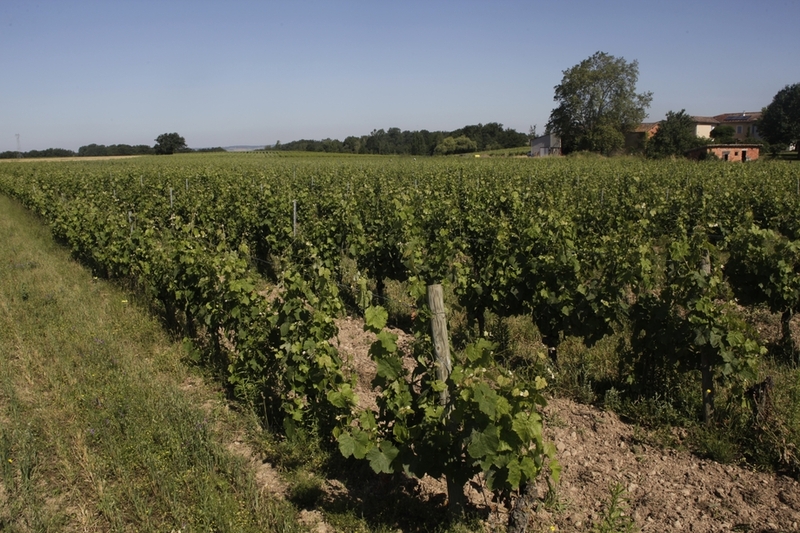 Vine growing in the Gaillac area dates back to the 1st century B.C. In the 12th century, a cooper from the nearby village of Lagrave, led an uprising against the troops of Simon de Montfort, during the Albigeois crusades. There was thus a fair chance that there were already vines on Domaine Rotier at this time. Later again, in the early 19th century, the land and the vines that make up the estate today were given away as a dowry. Gérard et Michèle Rotier, Alains parents, bought the estate in 1975 and set about converting and developing the failing vineyards. In 1985, Alain got involved in running the estate with his parents: they decided to leave the co-op winery where the grapes were brought and set up their own winery. From that day on, particular attention was paid to organically working and maintaining the soil. This was just the beginning of many improvements to come. The 90’s are the years of extension of the wine storehouses and the growing strength of cuvees Renaissance (red and white, then sweet). In 1997, it’s Francis’ turn to join the estate, thus enabling Gérard and Michèle Rotier to gradually retire from the estate. From the beginning of the millenary, there has been a qualitative step forward : the decision was made of a high density planting (6170 instead of 4000 plants/ha). From 2005 the decision of a more ecological approach to viticulture was implemented, in the hope of growing grapes and making wines that are more natural and more authentic, which is necesary for the health of men and nature. It is also the time we gave birth to a great new red cuvee l’Âme. Naturally, 2009 was the first year of the three year period of conversion to organic viticulture, for the entire estate. The first vintage certified in organic viticulture were in 2012. Finally, in 2013, we start working on reducing sulfite dosage in our wines, with the creation of the cuvee Esquisse.